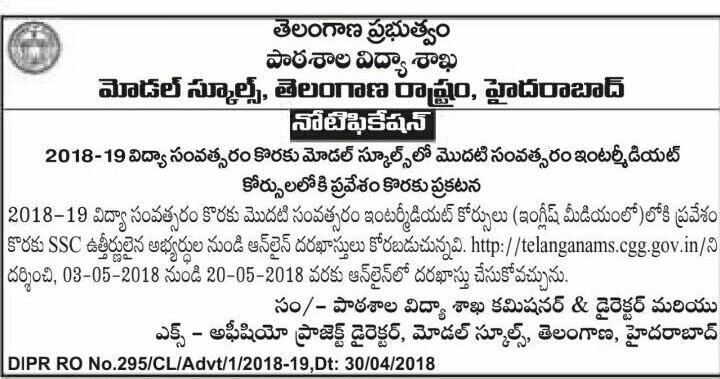 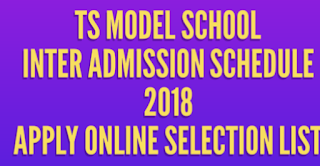 Telangana Model School Inter Admission Notification for the year 2019-20 Schedule will be Release For Admission into Telangana Model school Inter 1st year. 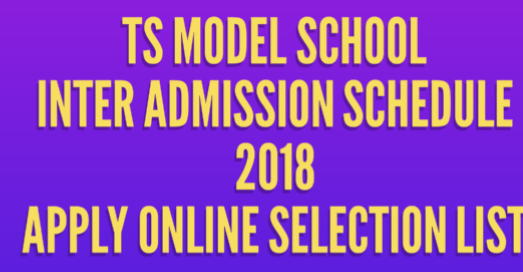 Interested candidates can Apply online for TSMS Inter 1st for the year 2019-20. Physically Challenged students: 3% (in the reservation group of the students).